The UN’s High Commissioner for Refugees (UNHCR) has called on European countries to come together to create a working strategy to deal with the massive influx of refugees making their way to Europe. The agency said that all European countries and the EU must act together to provide support to countries such as Greece, Macedonia and Serbia whose capacities were overstretched and called for the equitable redistribution of refugees across the EU. “It’s vital that these people are treated humanely, also that essential assistance is provided, not just by responding to their basic needs but respecting also their dignity, their human rights as asylum seekers and migrants,” UNHCR spokesperson Melissa Fleming told a news conference in Geneva. The agency anticipated the number of refugees crossing into Macedonia from Greece was expected to continue at a rate of around 3,000 a day. Fleming said that Macedonia’s refugee situation has “calmed significantly from the chaotic scenes” seen on televisions last week when the country called a state of emergency and closed its border, though it remained a concern. A total of 2,093 potential asylum seekers, the highest ever daily total, crossed the border near the Hungarian town of Roszke, a police statement said on Monday. They were part of a wave of around 8,000 refugees whose journey to the European Union had been blocked last week when Macedonia closed its borders after being overwhelmed by the huge influx of people, amid Europe’s worst refugee crisis since World War II. The latest movements came as German Chancellor Angela Merkel and French President Francois Hollande called for a unified system for the right to asylum, and the setting up of reception centres in Greece and Italy. Many refugees eventually get to Germany, Europe’s strongest economy. Al Jazeera’s Jonah Hull on Tuesday travelled with refugees starting their European journeys on a ferry from the Greek island of Lesbos to the Athens port of Piraeus, and then on a train from Athens as they travelled to the country’s north towards Macedonia. He said the number of arrivals to Greece from Turkey were growing daily. “This is the fifth ferry load of refugees to arrive in Piraeus since last Monday, that’s 12,500 in a single week with many more making the journey by other means,” our correspondent said. “On the Aegean islands, the frontline of this massive influx of humanity to Europe, there are more than 10,000 waiting for transport like this, and that number is growing by 1,000 new arrivals across the water from Turkey every single day. 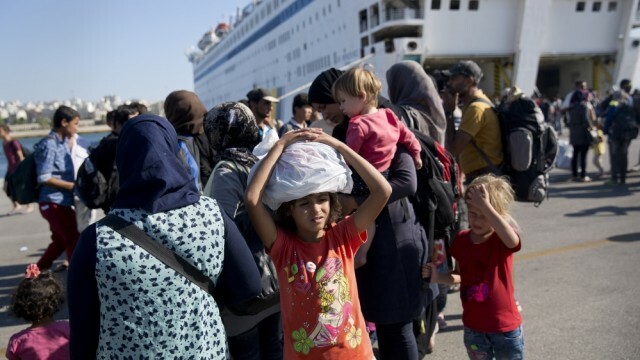 The post UN calls on Europe to create refugee strategy appeared first on African Media Agency.